The iron way of the Baumes Corcades climbs to the top of the Puigsajordi hill for the vertical rocks in the middle of a splendid landscape. 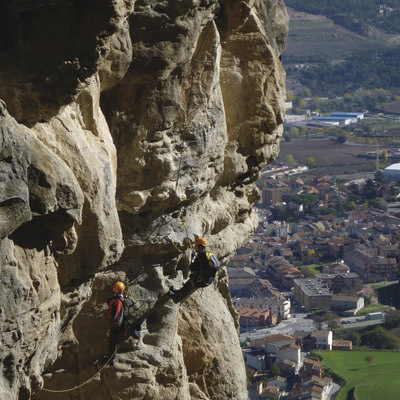 During ascent you will enjoy views of the city of Plana de Vic, protected by the Tona’s castle. A balma, which in this territory is pronounced as Bauma (for this reason receives this name), means shelter cave. They were used as a farmyard or human habitat, as a result some of the shelter cave received the name of the people that lived there.